The BMW 8 Series will be unveiled in less than a month at the iconic Le Mans 24-hour endurance race. From what we can gather, BMW is setting up a special event for the unveiling by bring the car out next to the M8 GTE. And while the race car definitely looks amazing, everyone’s wondering how much of it will be finding its way on the road-legal version. The BMW M8 is still a couple of months away but in the meantime we’ll get to enjoy the new kid on the block, the M850i. This seems to be the new star in BMW’s line-up. BMW told us a while back that the engine will be making over 500 HP and more torque than any other M Performance car it currently offers, later offering the 530 HP and 553 lb-ft (750 Nm) figures to get our imagination going. Today the Germans released yet another video showing the people in charge of the drivetrain and chassis talking about the car. They once again confirmed the numbers in front of the camera and added a couple of details in the mix. Now we know that the M850i will come with a new xDrive system which focuses on the rear axle, sending more of the power to the back. It won’t be the same system as on the new M5 but it will be RWD biased. Also, there will be an active rear differential lock offered as standard as well as Adaptive M suspension and active roll stabilization. These last two items will be optional and available at a price. 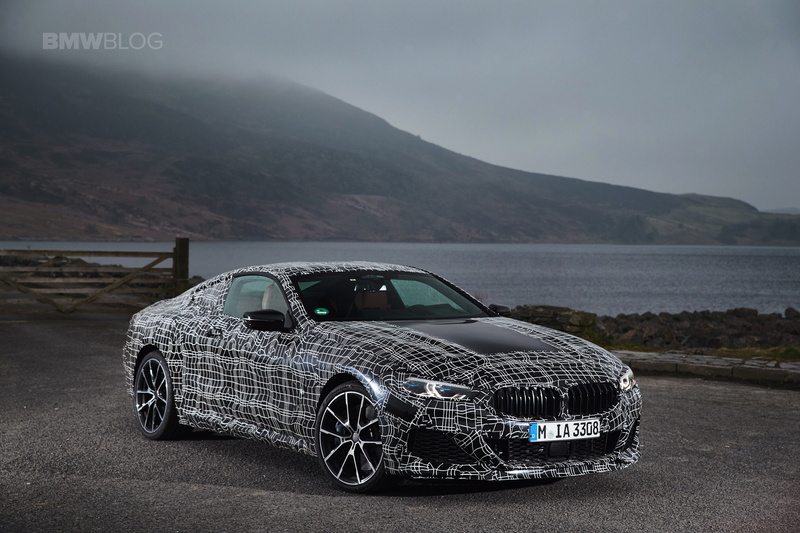 The video below also offers an unexpected glimpse at the new instrument cluster which will be making its debut on the 8 Series as well. It has been previewed by some sketches a while back but now we get to see how it will look like in real life, at least in Comfort mode. Things are definitely looking great, with this new design taking BMW into the future, keeping up with the trends. All we have to do now is wait for the final product to come out.